The 1st Roosevelt Island 5K in 2011 was a huge success and the 2012 spring race, scheduled for Saturday, May 12, 2012, should be even better. This fast and flat electronically timed 5K will be run on a USATF certified (pending) course and the start and finish are located near the F Train and Tram stations. The closed course is a nice loop around the perimeter of the island with breathtaking views of the East River and of course Manhattan and Queens. Stick around for the post-race party and awards immediately after the last participant finish. All participant registration for this race will be on NYCRUNS with fundraising teams forming on the Icla da Silva Foundation’s First Giving website. Consider forming a team and ask your family and friends to sponsor you in support or such great cause. The Icla da Silva Foundation and NYCRUNS will be working together to create a more comprehensive fundraising program and we hope to have details available in January. The Icla da Silva Foundation is the largest recruitment center for the Be the Match Registry in the United States. It recruits over 38,000 new potential bone marrow donors every year, with a strong focus on minority communities. The Foundation also provides support services to patients and their families in need of bone marrow transplants. More information on the Icla da Silva Foundation and previous runs at earlier post. 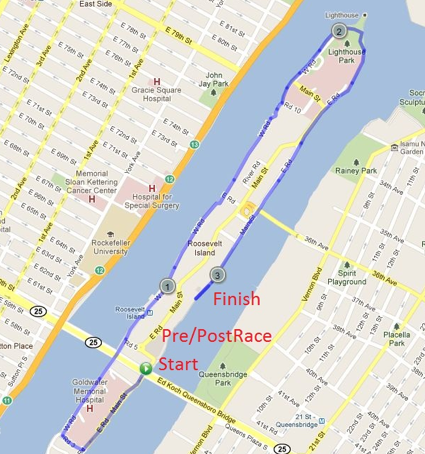 Click here to register for the 2012 Roosevelt Island Icla da Silva Run/Walk. Now, the owners of Roosevelt Island other Mitchell Lama rental building, Westview, have given notice of their intent to leave the Mitchell Lama program. 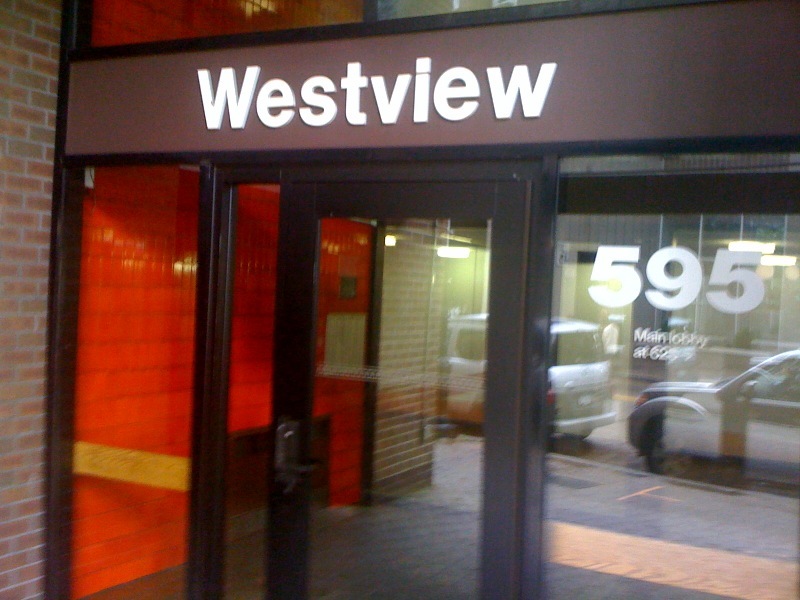 According to the Westview Task Force (WTF), the Westview owners anticipate negotiating an affordability plan with the WTF over the next few months and will submit an affordability plan to the tenants, Roosevelt Island Operating Corp (RIOC) and NY State agencies within the next 30 days. Below is WTF communication to building tenants. The owner's notice of intent letter is below. 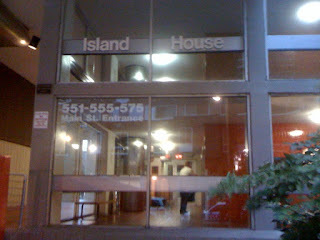 Mr. Hirschhorn is also an owner of Island House. Community Planning Board 8's (CPB 8) Roosevelt Island Task Force met last Tuesday at Roosevelt Island's Good Shepherd Community Center to hear a presentation by Cornell University regarding the new Cornell Technion Applied Sciences and Engineering school to be built on Roosevelt Island's Goldwater Hospital campus. Representing Cornell University were Vice President Cathy Dove (a new Roosevelt Island resident) and Project Manager Andrew Winters. Ms. Dove reported that the first phase of the project will open in 2017 with the opening of a 150,000 square foot academic building, a 150,000 square foot partner co- location building for emerging companies, a residence hall of apartments for graduate students, faculty and staff (not a dormitory) and perhaps even an academic conference hotel. According to Ms. Dove the campus will be developed starting from north to south in stages until 2037 as shown in illustration above. The campus will also have what is being called a Tech Walk from north to south (shown in orange line) similar to Roosevelt Island's Main Street. and the power point presentation used during the meeting. During the presentation Ms Dove also announced that the firm Morphosis was selected as the architect for the first academic building. ... There are no snazzy architectural images yet, nor can Mr. Mayne speculate about what shape the building will take or what materials he might use. “I haven’t even seen the site plan yet,” he said. The only certainty is that Mr. Mayne will not inaugurate Cornell’s new campus by designing some kind of ivory tower. ... The proposed project would be centered on a new outdoor north-south connection or “spine” that would extend at-grade through the project site. A series of publicly-accessible open spaces would extend from the edge of the site inward to this spine. The proposed buildings would be organized around both the spine and the network of open spaces with the main entries to the buildings located along the north-south spine. The academic research buildings would be 8 to 14 stories with the tallest of the three buildings reaching 165 to 185 feet in height. The residential buildings would be taller, approximately 15 to 30 stories, with the tallest of the four residential buildings reaching 280 to 320 feet in height. The hotel and conference facilities would be 15 stories, or up to 180 feet in height. The partner R&D buildings would be 8 to 14 stories with the tallest of the three buildings reaching 165 to 185 feet in height. The proposed buildings would be oriented on the project site so that a series of publicly accessible open spaces are created (see “Open Space,” below). The proposed project would provide approximately 7.5 acres of publicly-accessible open spaces on the project site and would include provision of both active and passive uses. In addition, the project would provide a bicycle path in the ring road around the project site that would provide connections to the parks south of the site as well as to open space and recreation facilities north of the project site. The existing ring road would be mapped with a 50 foot right-of-way, which would allow for one travel lane and a parking lane, with a sidewalk adjacent to the project site. As in the existing condition, the road would be one-way clockwise with southbound traffic on the east side of the project site and northbound traffic on the west side. The ring road would provide access to the campus’s loading areas, which would be located primarily on the east side of the project site. Drop off and pick up areas may be provided in front of the hotel and potentially at central locations serving the academic buildings. On-site energy plants that would total approximately 40,000 gsf. The energy plants would supply power, chilled water, and heat to the campus. Photovoltaic (PV) panels throughout the site (e.g., on the roofs of the proposed buildings and possibly elsewhere on the site). A system of up to 400 geothermal wells. Cornell has set a goal to achieve net-zero energy consumption for its Phase 1 academic building. This means that the campus collectively would generate the electricity, heat, and chilled water that would offset the energy use of the Phase 1 academic building on an annual basis. Amendment of the New York City Health and Hospitals Corporation (NYCHHC) operating agreement with the City by the Corporation Board in order to surrender a portion of the project site. Disposition of City-owned property from the City of New York to the New York City Economic Development Corporation (EDC) for a subsequent proposed long-term lease and potential future sale to Cornell. Mayoral approval of the lease and sale terms of the disposition parcels pursuant to Section 384(b)(4) of the New York City Charter. RIOC approval of a modification of the City’s lease with RIOC. Zoning Map amendment to change the project site and surrounding area zoning from R7-2 to C4-5 as shown on Figure 4. Zoning Text amendment to create the Special Southern Roosevelt Island District and to establish special bulk, use, parking and waterfront controls for the rezoning area. Below is the full video of May 8 CPB 8 Roosevelt Island Task Force Meeting on Cornell Technion NYC Applied Sciences & Engineering School. Unfortunately, there are audio problems with the last video from approximately 29 minute to 36 minute mark. Sorry. Due to emergency Con Edison repair work, the East roadway outside of the Octagon building (888 Main Street) will be reduced to one lane vehicular traffic. The work will be performed on Wednesday, May 9th and Thursday, May 10th from 11PM to 5AM on both days. During this time, the RIOC Red Bus and the Q102 will not provide service beyond the Firehouse Station. Permits will be available for pickup TODAY from 6pm to 8pm at Sportspark (250 Main Street). Please pay for your permits online before coming in to pick them up. After today's special pickup hours, tennis permits will be able to be retrieved on Tuesdays, Wednesdays, and Fridays from 4pm to 8pm at Sportspark. Tennis turnstiles will remain open until Monday, May 14 to allow a grace period to get your permit processed. The meeting will be at Good Shepherd Community Center at 543 Main Street not 546 as indicated in the CPB 8 notice. 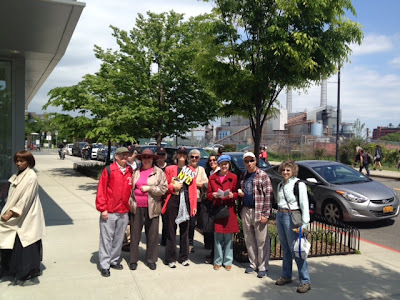 none of the Roosevelt Island residents on CPB 8 were chairing the Cornell Task Force, though Roosevelt Island residents are on the Cornell Task Force. 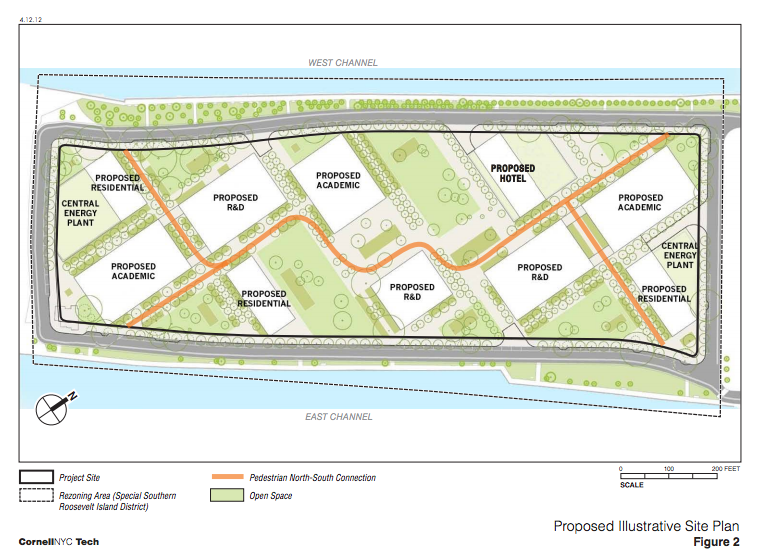 Also, more on Cornell NYC Tech plans for the Roosevelt Island school. 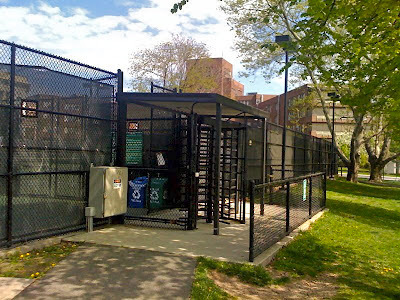 Reported last week on Roosevelt Island's Island House residents ongoing privatization efforts that are about to result in the building exiting the Mitchell Lama program. “The Affordability Plan is the culmination of many years of hard work among all of the stakeholders and was made possible only through the willingness of those involved to work cooperatively toward achieving a delicate balance among competing interests,” said David Hirschhorn, the General Partner of the ownership group. Island House residents will be able to purchase their apartments at a discount of approximately 65% off of the market price. For those Island House residents who do not wish to purchase their apartments, they may remain as tenants for the next 30 years and will be protected under a rent stabilization- like program. The Division of Housing and Community Renewal (DHCR) will continue to supervise the property to insure that the terms of the Affordability Plan are adhered to. Roosevelt Island Operating Corporation (RIOC) will receive substantial additional ground rents upon the expiration of the affordability period. Under the Public Authorities Law, a 90 day notice letter was filed by RIOC on April 27, 2012. 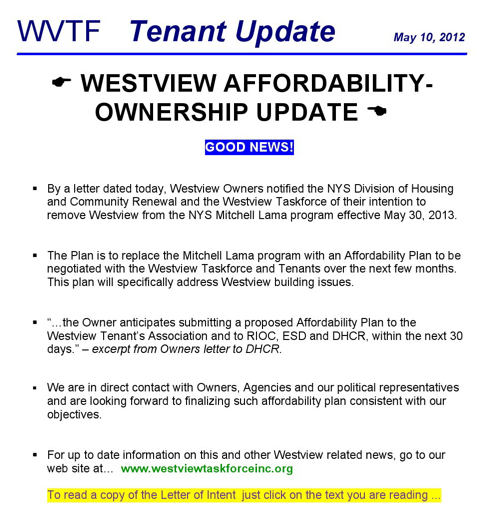 The closing of the Affordability Plan is scheduled for July 31, 2012. The offering portion of the deal must still be submitted to the Office of the New York State Attorney General for acceptance of the cooperative offering plan. What will this mean for those not currently residents of Island House but interested in moving there? Will the current wait list for rentals be converted to a waitlist to purchase, or will be there a new mechanism for filling future vacancies? 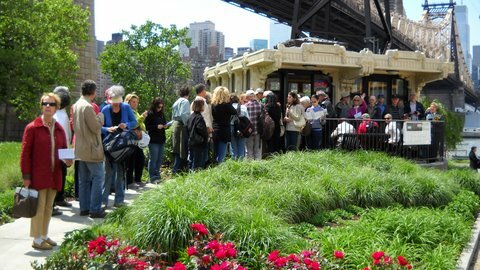 As previously reported, Roosevelt Island was one of the sites for the Municipal Art Society's Jane Walk last weekend. At least 50 off-Island visitors attended the Roosevelt Island Historical Society's session of Jane's Walk. Prompted by an extensive mention in The New York Times, they sought an insider's view of the community, institutions and history of the Island. Grouping themselves by interests, visitors assembled to listen and learn about Southpoint Park, Tram Plaza, Main Street and Lighthouse Park. Informal discussions about the residential buildings, the history of the 19th and 20th Century social service institutions, the architecture and the community organizations that knit residents together ensued for 90-minutes. The walks were led by Judith Berdy, President of the Roosevelt Island Historical Society, Deborah Dorff, Janet Falk and Francine Lange. 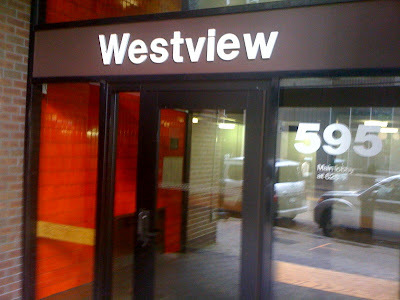 Roosevelt Island Business Networking Group Meeting Tomorrow Morning 7:30 AM, Local Entrepreneurs Meet, Share Stories and Potential Opportunities - Presentation Last Meeting From Real Estate Agent and Parenting Coach - Are You Next? The Roosevelt Island Business Networking Group (RIBN) will be holding their next meeting tomorrow morning, May 8 7:30 AM. at the Riverwalk Bar & Grill (425 Main Street). We're on a roll as members help each other to expand their circles of business contacts and sharpen their strategy. Hear three members describe what their essential services are and participate in a business card exchange. Invite Island friends and neighbors who are also small business owners and solo practitioners to attend as we expand the networking group. Contact Tom Wood at Thomas_Wood@natfin.net to present at a future meeting. About 20 residents, with professions ranging from event designer and financial advisor to chef and yoga teacher, gathered on Tuesday evening, April 24th, for the Roosevelt Island Business Networking Group’s bi-monthly meeting. As usual, the meeting kicked off with informal conversations and a business card exchange, as familiar faces and new members shared ideas about their respective small businesses and solo practices. The member presentations included an informative and eye-opening presentation by Kelle Sargent who has recently transitioned into the unique world of Manhattan real estate. 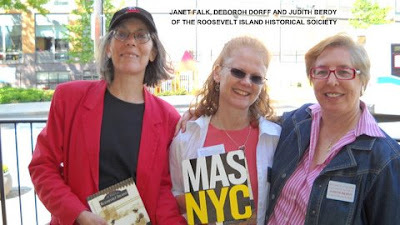 Her insights, specifically on the real estate environment of Roosevelt Island, were invaluable. A second presentations was by Gigi Khonyongwa, who is a parenting coach for parents of children with special needs. She explained from her own experiences that there is often a lack of support for the parents of special needs children. She launched Families Blossoming to meet this need. Gigi shared that she has already made a significant difference for others, and described the massive vision she has for the future. Attendees were reminded to submit a listing of their contact information and services to The WIRE and to the Roosevelt Islander online. Members are encouraged to meet with others in the group and consider what they have to offer and what they might need from a colleague. The Roosevelt Island Business Networking Group on LinkedIn continues to grow. The next event will be held on Tuesday, May 8th at 7:30 am at River Cross Bar & Grill. Members are welcome to bring Island friends and neighbors who are also small business owners and solo practitioners and expand the networking group. and then parenting coach for parents of special needs children Gigi Khonyongwa. 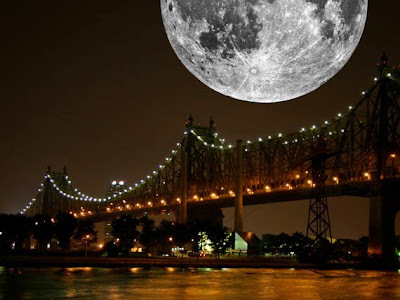 Super Duper Perigee Moon Over Roosevelt Island And Queensboro Bridge Saturday Night - Did You See It? Wow - did you see the super large moon over Roosevelt Island and the Queensboro Bridge last Saturday's night? The full Moon has a reputation for trouble. It raises high tides, it makes dogs howl, it wakes you up in the middle of the night with beams of moonlight stealing through drapes. If a moonbeam wakes you up on the night of May 5th, 2012, you might want to get out of bed and take a look. 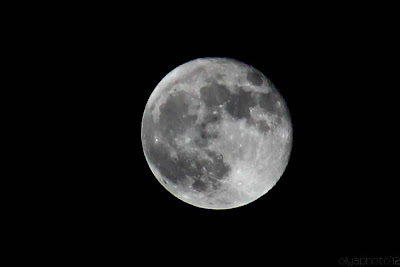 This May’s full Moon is a "super Moon,” as much as 14% bigger and 30% brighter than other full Moons of 2012. The scientific term for the phenomenon is "perigee moon." Full Moons vary in size because of the oval shape of the Moon's orbit. The Moon follows an elliptical path around Earth with one side ("perigee") about 50,000 km closer than the other ("apogee"). Full Moons that occur on the perigee side of the Moon's orbit seem extra big and bright. Such is the case on May 5th at 11:34 pm Eastern Daylight Time1 when the Moon reaches perigee. Only one minute later, the Moon will line up with Earth and the sun to become brilliantly full. The timing is almost perfect. 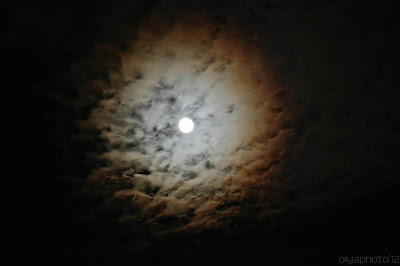 ... SuperMoon turned out to be a superfail—it was too cloudy in NYC to see the lunar phenomena. but last night, the cloud cover over Roosevelt Island was gone. 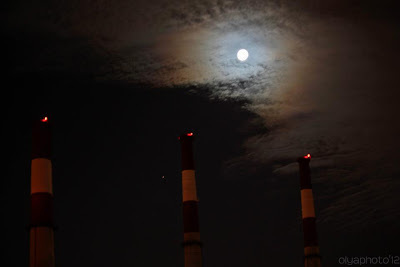 Roosevelt Island photographer and photo blogger Olya Turcihin (Olya's Urban Journal) captured the moon over New York City the night after perigee. and here's more between the moon and New York City. and a wonderful performance enjoyed by those in attendance. Gallery RIVAA will be hosting its Jazz Salon the first Sunday of every month so come on out for the next one on June 3.